This 1938 aerial photo covers much of the heart of the old South Portland neighborhood. 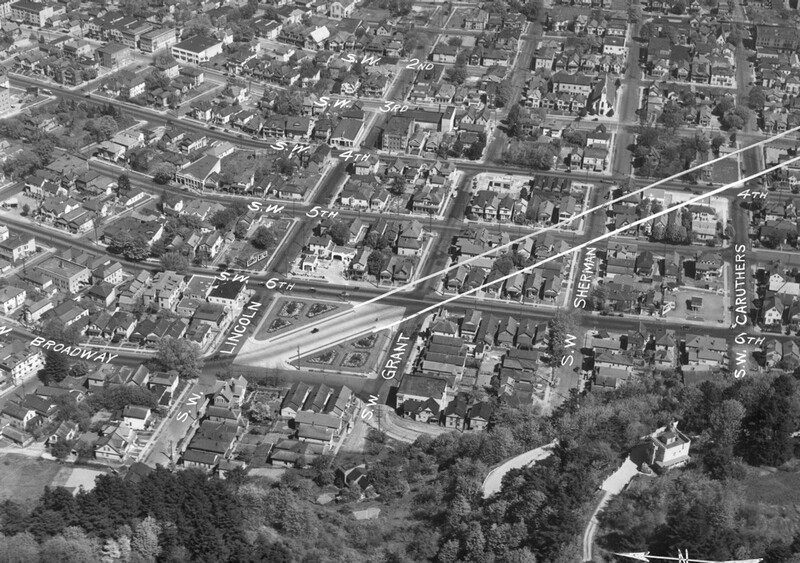 Except for some of the area below the inked-in double line, virtually everything here was flattened for the South Auditorium Urban Renewal Project, the Stadium Freeway (I-405) or the PSU campus. One could almost match up this photo with last Friday’s image just a bit south of here.